Daniel Berini joins new feature film from Creō Pictures. Daniel Berini made a notable appearance on the Channel Nine series, "Love Child"
The Australian actor, currently starring in feature film "Promised," will film across two timelines involving the same character. 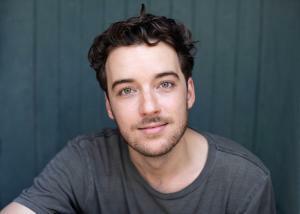 LOS ANGELES, CA, USA, March 18, 2019 /EINPresswire.com/ -- Australian actor Daniel Berini has signed on to star in a yet-to-be-titled feature film from acclaimed LA-based production company, Creō Pictures, in association with award-winning production company Smarter Pictures. The original short film on which the feature is based, ""Rocket Man, is about a struggling writer who has to confront a former friend after suddenly hitting the big time, while his own career is yet to take off. Berini has been cast as the struggling writer, Paul Hammock. Producers have yet to announce who will round out the cast. 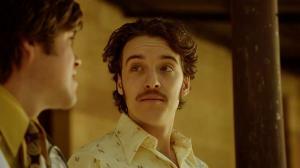 Set between New York and Los Angeles, the original short film featured "American Horror Story’s" Cameron Cowperthwaite and "Turn’s" Laura Long. "Rocket Man" screened at the famed Panavision cinema in Los Angeles and at SOHO House West Hollywood, and was a co-production between the Australian Cultural Fund and Fractured Atlas. Producers commented that the feature will be made in the vein of Anthony Minghella’s iconic "The Talented Mr Ripley", with a bent mix of Aaron Sorkin’s "The Social Network" and Yorgis Lanthomis’ awards-contender "The Favorite". Berini, an acclaimed actor in his native Australia, originally started his career on the stage with roles in productions of "West Side Story' and "Hair", before transitioning to the screen with roles in "Love Child", "The Secret Daughter" and a starring role in feature film "Promised", alongside Aussie entertainment legend, Tina Arena. He currently appears in a series regular credited role in the comedy series, "Elling & Izzy", opposite "Dare Me" star Marlo Kelly. Berini is represented by Matilda Comers at Fictious Management in the United States, and Belinda Blight at Helen Pandos Agency in Australia.